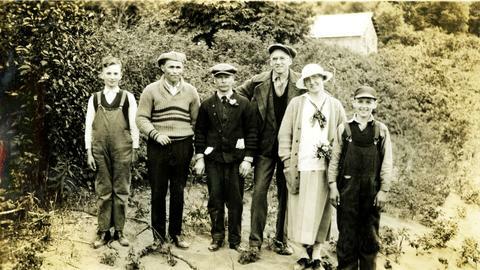 Photograph depicts a woman, three adult men and two boys. They are standing on soil with bushes and trees in the background. Handwritten annotation below photograph reads, "A Picnic Party 6/6/27".